Bop vocal by "The Saskatunes"
Circle Game Chorous by "The Lookout Mountain United Downstairs Choir"
This is my all time favorite out of all of Joni's albums. I put on this album whenever I need to wind down after a stressful day at college, or when I need to escape from life for a little while in general. 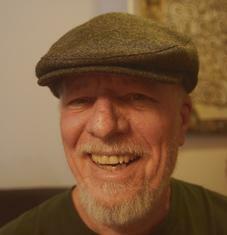 Joni takes the listener on a journey through Laurel Canyon as the way she sees it. Each of the songs are special, but my all time favorites are the title song, and my all time favorite, "Woodstock." The last song that I mentioned is extremely special to me personally, because through Joni's version, I re-discovered her friends, Crosby, Stills, Nash, and Young (who also recorded this song). A year later, I would end up seeing Graham Nash in concert and meeting him! You see the themes of love and heartbreak in the song "Willy," and growing up in "The Circle Game," which we all can relate to, as well as Joni's experiences living in Laurel Canyon as portrayed in some of her other songs. She paints a beautiful picture of her California lifestyle here both literally and musically, and I also like the cover on this album as well. I think that this is Joni's finest masterpiece of work. I also love her pure, carefree voice on here. I will continue to listen to this album for many years to come. Thanks Joni! such great music by Joni Mitchell truly the US National Musician Artist Producer Writer Performer !!! Joni is 7 years older than I am. As a consequence of that difference she was just reaching her initial media exposure when I was at a most impressionable age. There are many great albums which I still enjoy from that impressionable period of '68 - '74 but most of them I listen to for reasons of nostalgia. Ladies of the Canyon (and all of Joni's subsequent albums) are still very alive for me. They are not "just" good memories, but they are still relevant to today for me. I think today's music is still trying to catch up with Joni's brilliant creative talent. And few managed to hold onto the integrity and sense of self that I sense from Joni. Salutations to a true master! Oh by the way, I have the hdcd cd, vinyl, and cassette. I first heard this album in Texas, in the 1990s, when I was a teen. Playing the HDCD on my laptop using windows media player, and it sounds amazing. I did a little testing to hear the difference between youtube, itunes previews, and yes, the HDCD wins! I am so glad that I read somewhere online saying that If you do not have a HDCD player, you can do what I did, and enjoy the music. 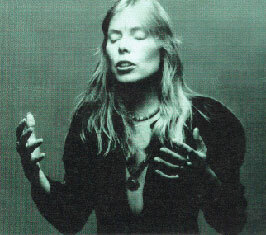 Thanks to Joni Mitchell for the sweet, high, warm, and clear beautiful songs. I met this album in my childhood, when it was released. It has been a companion and a touchstone in my life ever since. These words are more a part of me now than any other words in literature. This is the third Joni Mitchell album I purchased back in the early 1970's. By now, I was completely obsessed with all things Joni Mitchell and began covering some of her songs in local coffee houses in NYC. She is truly a legend!